We are celebrating University Press Week 2018 and today we will be considering the theme of politics with a staff pick from Chris Hart, Head of Marketing. 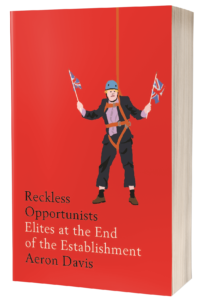 Reckless opportunists is an extremely timely publication that both surveys a reckless approach to leadership since the 1980s, but also perfectly encapsulates a lot of the leadership problems of today – problems that have directly shaped events such as Brexit, the financial crash of 2008, rising inequality, and the advance of Donald Trump and the strongman leader. The book is a valuable source for exploring the characteristics and consequences that determine reckless leadership, and the negative effect this is having on our politics, society and culture. It is a truly terrifying account, not because the author exposes the faults at the top, but because, in exposing these faults, he shows just how easy it has been for today’s leaders to create a culture of recklessness that shields them from the rest of the world. Its key contribution as a book is in this holding up of the mirror to show the reader what is really going on at the top and what needs to be done to stop it. It is a considerable achievement, including over 350 interviews with leaders from business, politics and the media. The use of Boris Johnson on the cover says it all! Peak inequality by Danny Dorling (Policy Press). A very strong book. I was impressed by Danny Dorling’s calling of peak inequality and the range of sources he uses to back up this claim. The morel economists by Tim Rogan (Princeton). An interesting study of the moral economists, Tawney, Polanyi and Thompson. If only more of them were around today. Nice use of Lowry for the cover design – Stretford’s finest! Manchester University Press are giving you a chance to win a book each day during University Press Week. 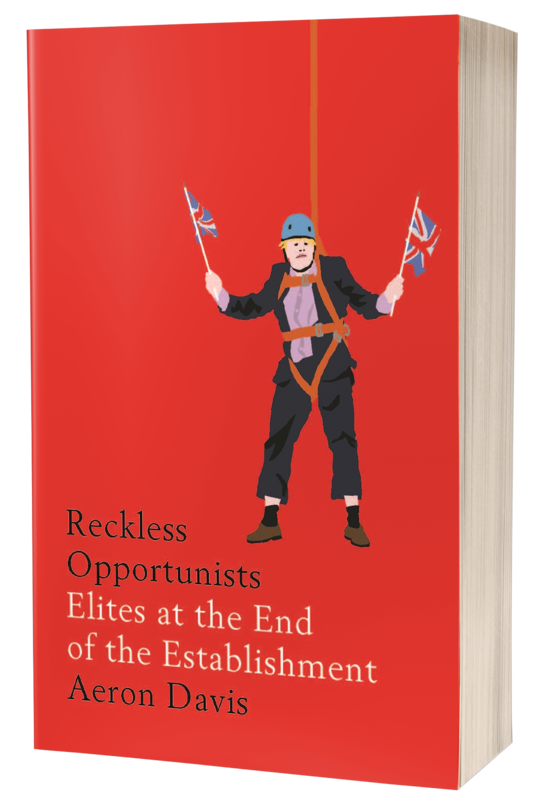 Visit our book of the month page to be in with a chance of winning a copy of Reckless opportunists. Category: Blog, Politics	0 Comments.